The lack of a Sky Go app for the Xbox One has been one of the Microsoft console's little oddities... that is until now. 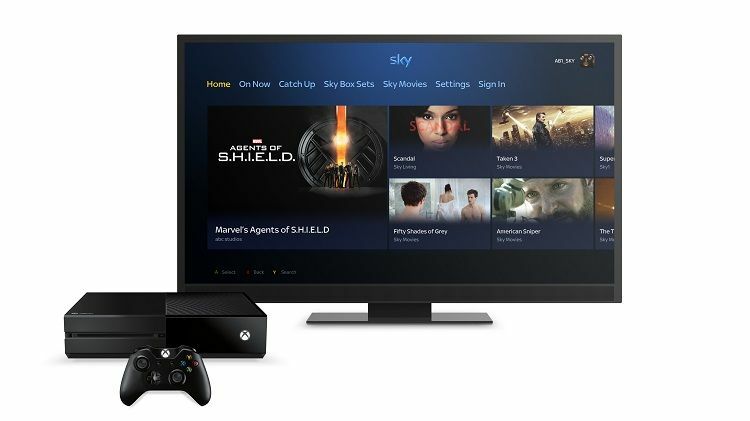 Sky has today launched TV from Sky to allow Xbox One owners, with a Sky account and a Sky Go Extra subscription, to watch live and on-demand content from its digital vaults. If you've got either the Movies or Sports packs on your existing Sky account then you can also access all those extra live channels too, with over 1,000 on-demand movies sitting waiting for you as well. There's a whole Christmas movie channel running for the festive period and, starting on December 11, the entire Star Wars saga is playing out across Sky Movies. One of the most frustrating things with this new TV from Sky app, aside from unconscionably dull name, is that it requires the upgraded Sky Go Extra service (or Sky Multiscreen) to let you access it on the console. Sky Go on the Xbox 360 was outstanding - often a far more robust and easier-on-the-eye setup than using the browser-based version - and it was accessible as one of your two Sky Go devices. TV from Sky though requires you to spend an additional £5 per month to add it as one of your four devices on Sky Go Extra. So even if you're already spending a fortune on the full Murdoch package, you now need to shell out another fiver to watch it on your Xbox One.